England in 1819 is coming to Savannah soon. 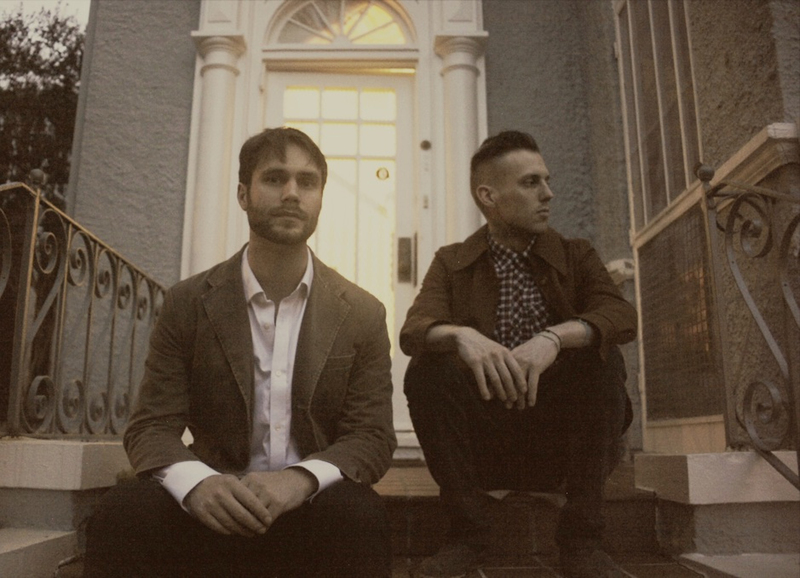 Electro-ambient indie duo, England in 1819, will be performing in Savannah at Hang Fire on Saturday October 4th. Baton Rouge brothers Andrew (synth vocals) and Dan Callaway (electronic drums, bass, french horn) will be on tour promoting their Summer Lightning EP, the follow-up to last years album Fireball Electric Tomorrow. Select songs from that album were re-tracked and re-mixed for the EP by Derek Garten (Taylor Swift, Jewel) of Prime Recording in Nashville, who partnered with the band after seeing a live performance in Nashville, and mastered by Grammy Award-winning Joseph M. Palmaccio (Willie Nelson, Alicia Keys). Born in Athens, GA, Andrew and Dan Callaway spent their childhood playing in rock bands with their father, Liam, in the English countryside. With music in the family blood, Liam was the son of a troubadour who performed throughout the post-WWII American South. Liam taught overseas Air Force bands. The family’s interests and talents led them into the world of classical music, and they moved back to the U.S. to take advantage of educational opportunities. Andrew intended on studying composition and Dan the french horn, both at conservatories in Ohio. After a few years of travel and exposure to classical music, the brothers returned to their roots, reuniting in the South and discovered new life in the unique and sometimes overlooked energy of indie rock. The pair formed England in 1819 in Baton Rouge. They quickly gained other members and formed an ensemble. At one point, the group was made up of nine members, including an oboe player and an opera singer. After experimenting with orchestral and experimental sounds and recording a pair of albums, the brothers began finding their niche in the electronic elements and experimented until they nailed a unique sound. While staying in a North Carolina cabin during the summer of 2013, the brothers wrote and recorded their third full-length, Fireball Electric Tomorrow, a 14-track album featuring smooth vocals paired with a soaring french horn and pounding beats, with danceable grooves. The album was released last September after the band put on the finishing touches of laying vocals and french horn tracks. The Blue Indian called the album “very delicate at times and appropriately overwhelming at others.” Ryan’s Smashing Life points out the band’s “unusual combination of Southern edge and English introspection, with haunting lyrics and…a sweeping, evocative surge of sound…ethereal atmosphere and captivating melodies.” Paste Magazine notes that “the songs are almost chilling in their emotional intensity.” The band elaborates on this emotional intensity in their music videos, most notably in their video for “Trophy Sixty-One“, which has snowballed to over 100k views. Don’t miss the opportunity to see England in 1819 perform at Hang Fire on Saturday, October 4th at 10 p.m. Admission is $5 and attendees must be at least 21 years of age.